We struggle with keeping our five young kids in decent shoes so I'm always on the lookout for a great sale. Our kids refuse to share shoes, although I must admit that by the time they've outgrown a pair they're really not worth passing along. In order to get the best deals I like to plan ahead and buy them a pair at a time if I have to, then I'll store them in the closet until we need to bring them out. Now it's time to start looking for back to school shoes so we're not in a pinch to find five perfect pair the week before school starts. 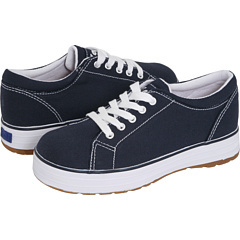 That's why I'm excited about the big Keds sale at 6pm where you can get up to 60% Off! These adorable canvas shoes are available in several colors for just $13.50 and shipping is only $2.95! The sale starts on Friday June 10th and ends on Sunday June 12th so hurry on over for the best selection. Huge Boot Clearance Sale This Week! Today through Friday, March 25th you can take advantage of a huge end of season clearance sale on boots at 6pm! 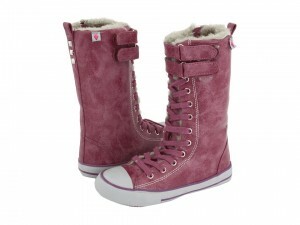 Prices start at a low $9, and these adorable Volatile Kids Hawk boots are only $21. Hurry on over for best selection! Boots under $25 – compare to retails of $115.00! Boots under $50 – compare to retails of $198.00! Boots under $100 – compare to retails of $395.00! 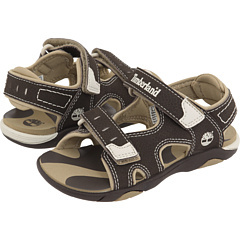 Today only – get up to 70% off all outdoor shoes at 6pm, like these kids Timberland sandals for just $15! Lots of styles and brands available for every member of the family. 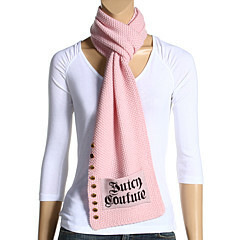 Juicy Couture up to 70% off! Lacoste up to 70% off! Hot Deals from 6pm for Memorial Day Weekend! SKECHERS Womens select styles $16.95! 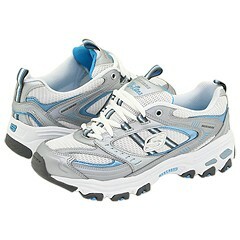 SKECHERS Mens select styles $24.95! Adidas up to 60% off! 2010 Swimwear select styles 70% off! New balance up to 65% off! A&G Rock and Roll Couture Adults $22.95, Kids $17.95! These hot offers are only good Saturday and Sunday – there will be new deals posted for Monday. Get free shipping on orders over $100 through 5/31!